Rogue Women Writers: KAREN CLEVELAND GOES ROGUE dishing on CHARLIZE THERON...and a fabulous story! KAREN CLEVELAND GOES ROGUE dishing on CHARLIZE THERON...and a fabulous story! Meet the sensational woman behind the recently released blockbuster, NEED TO KNOW. I'm hoping the spy thriller's talented author Karen Cleveland will share everything you "need to know" about her CIA analyst character who will be played by Charlize Theron on the big screen. 1. Vivian Miller is a CIA analyst, and you offer phenomenal insights into this world given you also worked in this milieu. What attributes are needed to be an effective analyst? I very much enjoyed working as a CIA analyst. I used to think of my job as being similar to putting together a giant puzzle – but without all the pieces, and without a picture as a guide. Attention to detail is very important. A love of reading and writing helps too! 2. Were there parts of NEED TO KNOW that were based on real-life cases? Did you need clearance from the CIA to share of any the information included in the book? The book isn’t based on a real-life case (luckily!). There have, however, been fairly recent cases of Russian sleepers in the United States – ten Russian agents were arrested in the U.S. in 2010. The book, as with everything I write, had to be cleared by a review board at the CIA. It’s sort of a double-check to ensure that I’m not accidentally disclosing anything classified. 3. You portrayed two distinct sides of Vivian, as a devoted wife and mother and as a talented CIA analyst. Did you ever struggle between the two roles yourself? It’s difficult to juggle a demanding career and the demands of young kids. I’ve struggled with it, and a lot of other parents have, too. I wanted to make Vivian as real as possible, so I wanted her to have some of the same experiences that so many of us go through. 4. How realistic is it that Russians could infiltrate today’s governmental agencies? What kinds of measures are there to protect Americans from the human frailties of the people who work in these arenas? The Russian intelligence services are sophisticated and aggressive. But I have every faith in the security personnel at the CIA and other government agencies – they’re highly capable and diligent. And they do work hard to vet people in sensitive positions, through measures like polygraphs, monitoring finances, and even vetting potential spouses. 5. In what ways was your work as a CIA analyst similar to the process of writing a book? CIA analysts spend a lot of time trying to put themselves in other people’s shoes, trying to predict how an individual or group will act or react to certain circumstances. Authors tend to do the same thing, I think. And at the Agency, everything is really a team effort. So much so that written products never include an author’s name – it’s just a CIA product. A novel is such a team effort, too – editing, marketing, publicizing, etc. It seems wrong to have a single name on the cover! 6. How many analysts are there? Can you tell us more about the way the CIA divides the analysts into groups? Do analysts ever meet directly with agents? The number of people who work for the CIA is actually classified, believe it or not. Analysts usually focus on a specific “account,” which is generally broken down by subject and country or region. Meeting with assets in the field tends to fall more to operations officers, while analysts focus more on analyzing information and presenting it to policymakers. 7. What was the most remarkable thing (that you can talk about) you worked on in your career? It’s hard to talk specifics, unfortunately. But I always got a thrill out of knowing that something I wrote landed on the President’s desk. As an analyst you want to feel like your work is having impact, so that was always a great feeling. 8. Did you always want to write a novel or did this idea come to you because of your work? The idea for the book had been in the back of my mind for many years. I met my husband around the same time I started working for the CIA, and it actually crossed my mind, very briefly, that he might not be who he said he was! Luckily I was wrong, but the idea for the book stuck. 9. I’m hoping that there will be a sequel to NEED TO KNOW, especially given the blockbuster ending. Can you kindly share what you’re working on next? Well, that’s great to hear! I do feel like there’s more of the story to tell. Right now I’m hard at work on another thriller set in Washington, DC. I’m excited about it, and I hope readers will be too! 10. Congrats on the wonderful news about Charlize Theron taking on the role of Vivian for film! Can you tell us the story of how this happened? Thanks! I’m so excited about it. She’s an incredible actress, and one who plays such a wide range of characters so well. I’m excited to see what she does with the role. As for how it happened – it was all very fast! I’m not sure of all the details, but there was interest from movie studios at the same time it was being considered by publishers. We had a film deal the day after we had a book deal. I’m so grateful that it worked out that way. Congrats on your success, and welcome to the world of thrillers. So happy to have you on today! 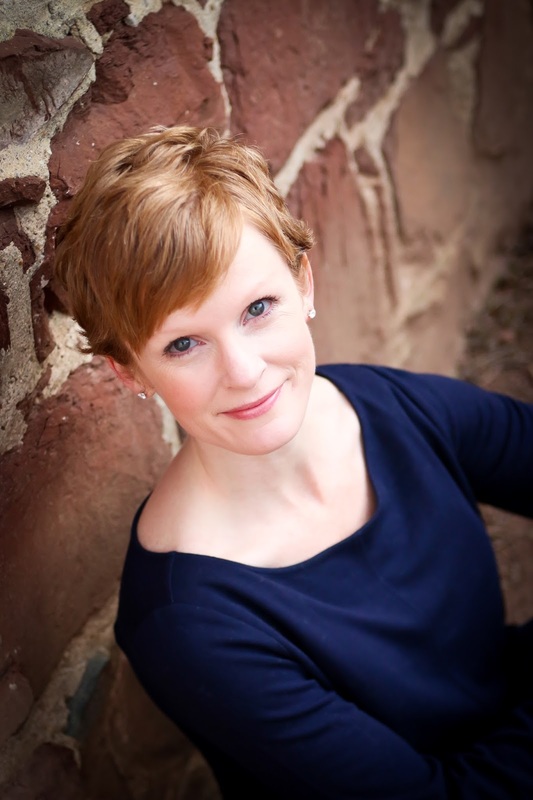 Great interview with this guest author -- and experienced CIA operative. 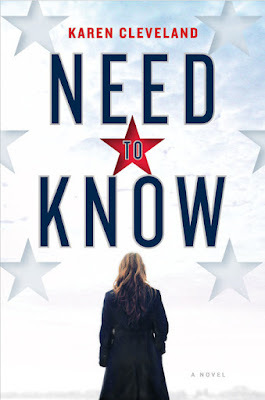 I see that NEED TO KNOW will be out Feb. 2 - can't wait to read it. After going through this post, I'm hooked. thanks, K.J., for bringing Karen to us here at Rogue Women Writers -- and congrats to you, Karen, on what I'm sure will be a blockbuster first novel - as well as an exciting movie! Please keep us posted on your next endeavor. Thanks for a great interview with Karen Cleveland, K.J. I'm quite intrigued by this thriller & it looks like I'll need to go pre-order this book tonight! Definitely one for my 2018 #mustreadpile. Thanks for joining us, Karen. What an exciting interview! And congrats on your movie/book success! Thanks for being here and congratulations on NEED TO KNOW. I followed the Russian sleeper cell story from a few years ago and found it fascinating as well. Also, congratulations on the movie deal. I love Charlize Theron-especially her fierce performance in Mad Max Fury Road. Can't wait to read the book and then see the movie!